An era of turbulence it’s what the era of Ferdinand Marcos all about. 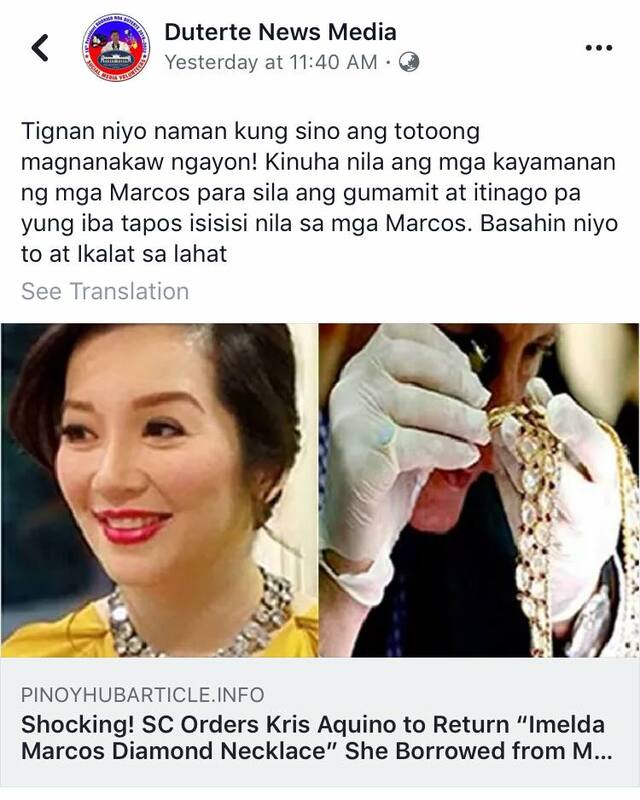 During those times the Philippines like the other numerous newly developing countries was gotten between competing ideologies between the Capitalist Block and the Columnist block and Marcos did his very best to make the Philippines modernized and to influence to push toward full independency. To create a united independent and self-sustaining and sovereign Philippines from the provincial mentality that the Filipinos wear compelled to believe in is what he is aiming during his time. 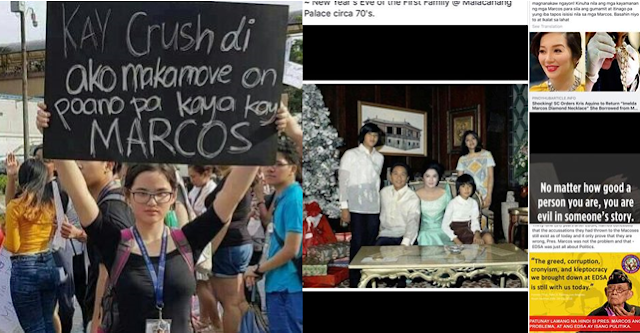 Defending Marcos is not a need due to the fact that his accomplishments speak for it. The three decades of EDSA corruption attempted to delete his name from the history and the Aquino family did their very best to take away everything and eradicate his name from the historical backdrop of the Philippines. You can never erase the achievements of someone when people can still recollect the height of the endeavors of our country during the Marcos era. Regardless of how great of a person you are, you are evil in someone’s story. Stories that are written yet accomplishments are there in strong ground. 1. Bataan Nuclear Power Plant, completed 1983. 2. Leyte Geothermal Power Plant, completed 1977. 3. Makiling-Banahaw Geothermal Power Plant, completed 1979. 4. Tiwi Geothermal Power Plant, completed 1980. 5. Angat Hydro Electric Power Plant, completed 1967. 6. Kalayaan Hydro Electric Power Plant, completed 1982. 7. Magat A Hydro Electric Power Plant, completed 1984. 8. Magat B Hydro Electric Power Plant, completed 1984. 9. Pantabangan Hydro Electric Power Plant, completed 1977. 10. Agus 2 Hydro Electric Power Plant, completed 1979. 11. Agus 4 Hydro Electric Power Plant, completed 1985. 12. Agus 5 Hydro Electric Power Plant, completed 1985. 13. Agus 7 Hydro Electric Power Plant, completed 1982. 14. Pulangi Hydro Electric Power Plant, completed 1985. 15. Agus 6 Hydro Electric Power plant, recommissioned in 1977. 16. Masiway Hydro Electric Power Plant, completed 1980. 17. Main Magat Hydro Electric Power Plant, completed 1983. 18. Calaca Coal Power PlantCompleted in 1984. 19. Cebu Thermal Power Plant completed in 1981. 20. Palinpinon 1 Southern Negros Geothermal production Field completed in 1983. 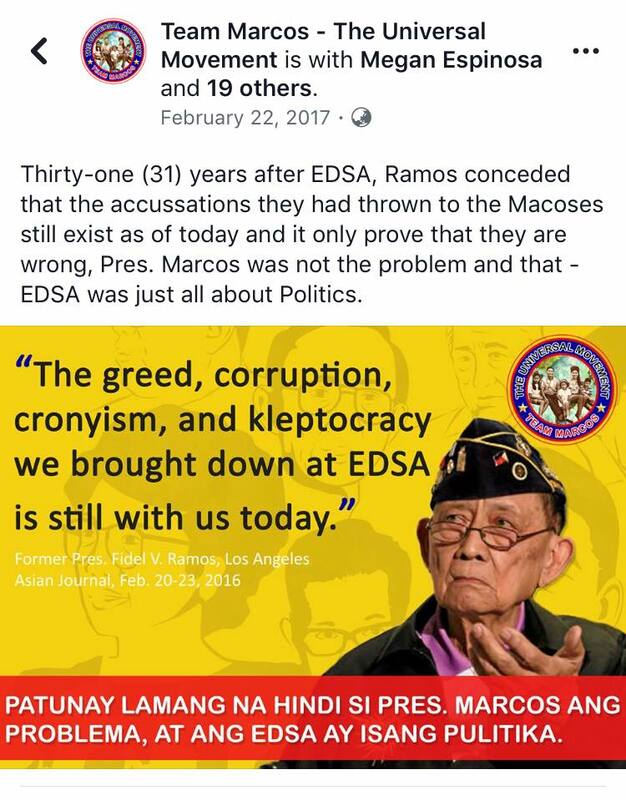 Note: Every new power plant built During their time were all privately Owned ( mostly by Lopezes, AboitIz, Aquino And Cojuanco Family) and is now owners of some Power Plants completed during Marcos. 1. Biliran Bridge150 meters long of Leyte, completed 1975. 2. Buntun Bridge 1369 meters long of Tuguegarao-Solana, Cagayan, completed 1974. 3. Candaba Viaduct Pulilan 5000 meters long of Bulacan-San Simon, Pampanga, completed 1976. 4. Mactan-Mandaue Bridge 864 meters long of Lapu-Lapu-Mandaue, Cebu 1972. 5. Magapit Suspension Bridge 449 meters long of Lal-lo, Cagayan completed 1978. 6. Mawo Bridge 280 meters long Victoria, Northern Samar completed 1970. 7. Patapat Viaduct 1300 meters long Pagudpud, Ilocos Norte completed 1986. 8. San Juanico Bridge 2060 meters long Tacloban, Leyte-Santa Rita, Samar Completed 1973. Note: Not to mention the unnamed hundreds of bridges under 100 meters long. 1. Agas- agas Bridge, Southern Leyte 350 meters long completed 2006. 2. Agat Bued Bridge, La Union 500 meters long completed 2010. 3. Bamban Bridge, Pampanga 174 meters long completed 1998. 4. Cansaga Bay Bridge, Cebu 640 meters long completed 2010. 5. Jones Bridge, Isabela 350 meters long completed 2008. 6. Macapagal Bridge, Agusan del Norte 907 meters long completed 2007. 7. Magat Bridge, Isabela 926 meters long completed 1991. 8. Marcelo Fernan Bridge, Cebu 1237 meters long 1999. 9. Narciso Ramos Bridge, Pangasinan 1442 meters long completed 1997. 10. Old Amburayan Bridge, Ilocos Sur 535meters long completed 2010. 11. Pantal Bridge, Pangasinan 380 meters long completed 2008. 1. Don Mariano Marcos Memorial State University in La Union founded. 2. Mariano Marcos State University in Ilocos Norte founded in 1978. 3. Kalinga-Apayao State College in Tabuk Kalinga founded in 1970. 4. Abra State Institute of Science and Technology in Abra founded in 1983. 5. Pangasinan State University founded in 1979. 6. University of Northern Philippines founded in 1965. 7. Philippine State College of Aeronautics founded in 1969. 8. Cagayan State University established in 1978. 9. Quirino State University established 1976. 10. Isabela State University established 1978. 11. Pampanga Agricultural College established 1974. 12. Mindoro State College of Agriculture and Technology-Calapan City established 1966. 13. Occidental Mindoro State College established 1966. 14. Palawan State University established 1965. 15. Bicol University established 1969. 16. Camarines Sur Polytechnic Colleges established 1983. 17. Rizal Technological University established 1969. 18. Technological University of the Philippines established 1971. 19. apiz State University 1980. 20. Guimaras State College 1968. 21. Northern Negros State College of Science and Technology established 1971. 22. West Visayas State University became established as university in January 1986. 23. Leyte Normal University 1976. 24. SLSU- (Southern Leyte State University)- Sogod 1969. 26. SLSU- Tomas Oppus Feb. 1, 1986. 28. SLSU- San Juan 1983. 29. Basilan State College 1984. 30. Western Mindanao State University became a university in 1978 followed with building the satellite campuses in..
31. Central Mindanao University established1965. 32. Misamis Oriental State College of Agriculture and Technology established 1983. 33. Northwestern Mindanao State College of Science and Technology estbalished 1971. 34. Davao del Norte School of Fisheries established 1969 ( now known as Davao del Norte State College). 35. Mati Community College (MCC) founded in 1972 ( now known asDavao Oriental State College of Science and Technology). 36. Malita Agri-Business and Marine and Aquatic School of Technology founded 1966 now known as. 37. Southern Philippines Agri-Business and Marine and Aquatic School of Technology. 38. University of Southeastern Philippines established 1978. 39. Cotabato Foundation College of Science and Technology established 1967. 40. Cotabato City State Polytechnic College established 1983. 41. Mindanao state university- Iligan city founded 1968. 42. Mindanao state university- Gensan city founded 1971. 43. Surigao del Sur State University founded 1982. 44. Surigao Del Norte School of Arts and Trades (Founded in 1969) now known as Surigao State College of Technology. 45. Sulu State College founded in 1982. 46. Tawi-Tawi Regional Agricultural College founded in 1975. 47. Adiong Memorial Polytechnic State College founded in 1970's. 48. (that have found so far) out of 108 state universities and college are established and accomplished projects of FERDINAND E MARCOS. He also improved and re equipped the remaining colleges/ Universities that were established/ founded before 1965. VS CORY, RAMOS, ESTRADA, GLORIA and NOYNOY III COMBINED Established/Founded State Colleges/Universities in 26 years. Note:- the remaining of 108 State Colleges/Universities are built and founded before 1965. They though renamed few Colleges and Universities and Refounded them after 1986. -National Manpower and Youth Council (NMYC) founded 1976. Now changed to TESDA to discredit Marcos.